For me, the best speculative fiction seamlessly weaves together novel ideas and perspectives while keeping me enthralled in a good story. 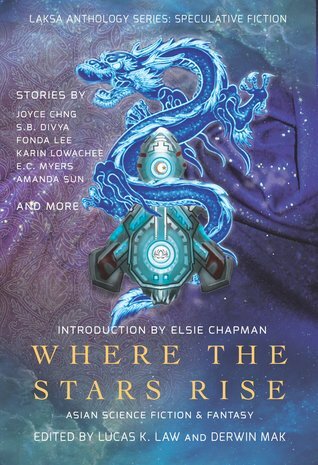 Where the Stars Rise promises just that, providing a wealth of viewpoints that are woefully underrepresented in much of mainstream speculative fiction. The stories range from Melissa Yuan-Innes' "Crash," a futuristic story of a sixteen-year-old's experience on a moon colony, to Ruhan Zhao's "My Left Hand," a short tale of high energy physics, time travel, and fortune tellers, to Gabriela Lee's "DNR", a story of personal tragedy and memory set in a world shattered by climate change and terrible earthquakes. Sign into Goodreads to see if any of your friends have read Where the Stars Rise.